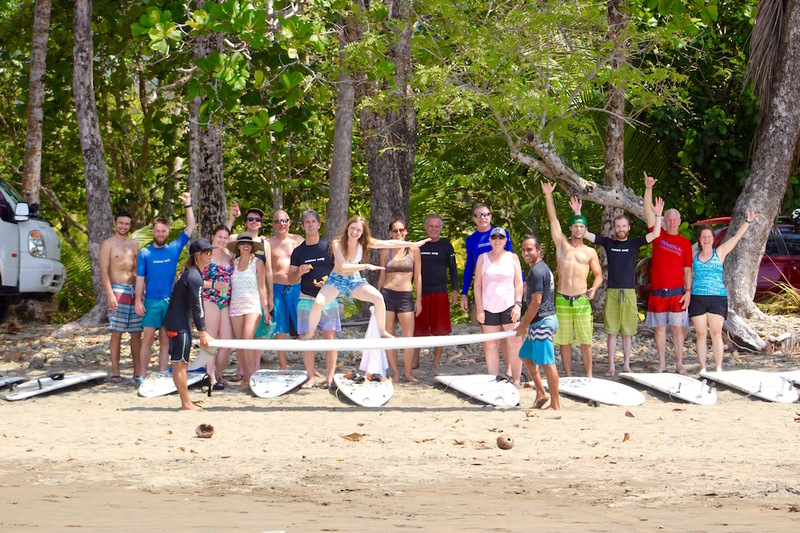 Tropical Adventures at Sunset Surf Dominical! Sunset Surf Dominical is a unique surf camp and school located in the tropical town of Dominical, Costa Rica. The President and Founder, Dylan Park, was born and raised in Maui, Hawaii. He grew up with a fierce passion for surfing and the ocean. When he first saw Dominical he knew he had found a place that was comparable, if not better, than the Hawaiian Islands. “Growing up on Maui in Hawaii made it very difficult for me to find a place that I could call home and have the similar feel, waves and Aloha vibe that I experienced growing up in the Islands. 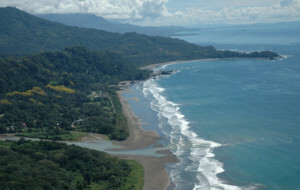 When I saw Dominical, Costa Rica, I knew I had found the place,” Dylan explained. The team at Sunset Surf is there for their guests from the time they land at the airport. They greet the guests as they leave baggage claim, hand them complimentary refreshments, and take the scenic route to the hotel. While the guests are exploring and learning to surf, they take care of all the necessities from drinking water to organic sunblock to a beach bike to get around town to rash guards, hats and a fridge stalked with beer and fresh juice. Part of the focus on customer service is making sure the instructors are experienced and professional. 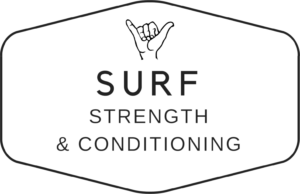 Dylan understands that surfing can be intimidating, so all of the surf instructors are certified by the International Surf Association (ISA), certified lifeguards, and certified in CPR. “This is the way our clients can know that they are in good hands and will actually walk away a better surfer,” Dylan explains. 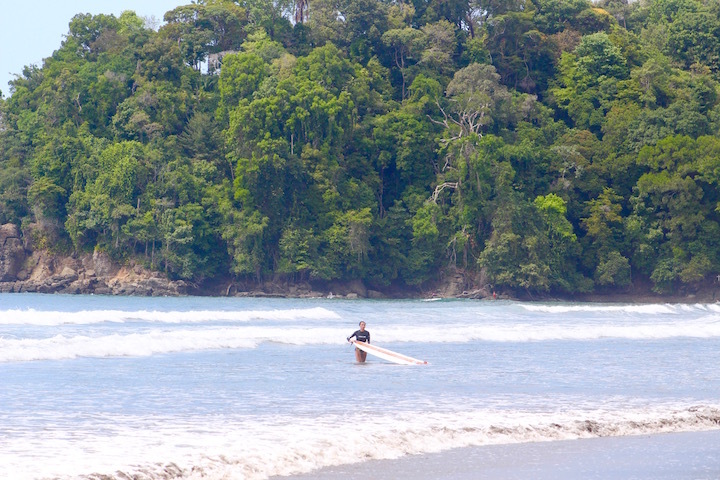 But there is more to the Sunset Surf Dominical experience than surfing. In February of 2015, Sunset Surf Dominical had the oppo rtunity to team up with a fantastic family that moved to Costa Rica from Italy to open up a surf hotel. 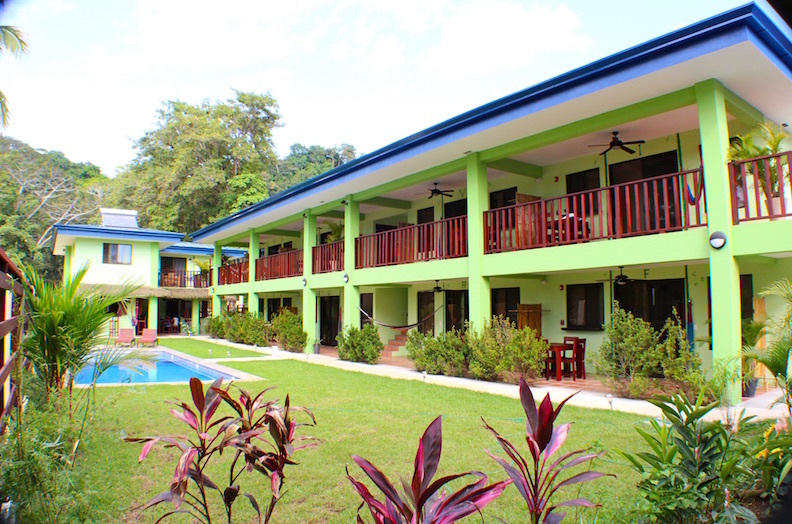 The hotel is an eight-room boutique establishment with private terraces, A/C, ceiling fans, mini-fridges, king size beds, private hammocks and a spacious pool. Each morning for breakfast there are local tropical fruits, yogurt, fresh bread, eggs, coffee, and fresh juice. After breakfast you can expect a day of surfing, exploring waterfalls, going on adventures, relaxing by the pool and getting massages. The town of Dominical itself is growing in popularity but is still far removed from the hustle and bustle that is now invading most of the other Paradise’s in the world from Bali to Hawaii. With mountains covered in untouched jungle, clouds that trail from the peaks to the ocean, dirt roads instead of tarmac and empty surf breaks, Dominical is a small town that offers real adventure. 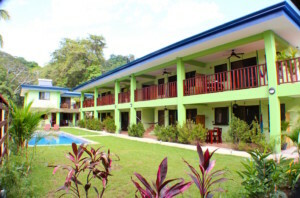 It is situated right at the base of the Talamanca mountain range at the mouth of the Baru River. With an innocent, relaxed way of life that has remained the same for many years, you can stroll through the town among vendors selling vibrant sarongs, fresh tropical fruit and coconuts. Palm trees wave in the fresh, salty breeze, and when you look out to the ocean there’s nothing to see but empty sand, crystal blue water and a bright horizon. There are also bars, restaurants, grocery stores, fruit stands and organic markets. There are also yoga studios, one ban k and more empty surf breaks than you can imagine. Truly, the little town of Dominical and the Sunset Surf School offers more than your average tropical vacation and a cool Instagram picture. It offers genuine adventure, delicious food, and an experience that simultaneously relaxes and rejuvenates. Skip the crowds and high prices of Hawaii or Florida. The pristine waters of Costa Rica are empty and waiting! 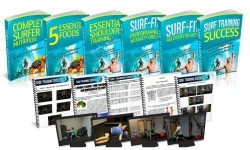 Do you have any questions about Sunset Surf or booking? We still have several spots open for the summer months! 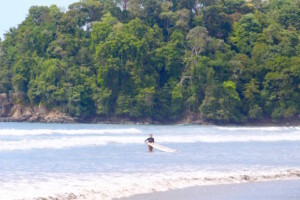 Please email us at info@sunsetsurfdominical.com and we will get back to you right away. Thank you for reading and aloha!